Access launched Project Hire in April and thrilled to report that the kick-off was a big success! 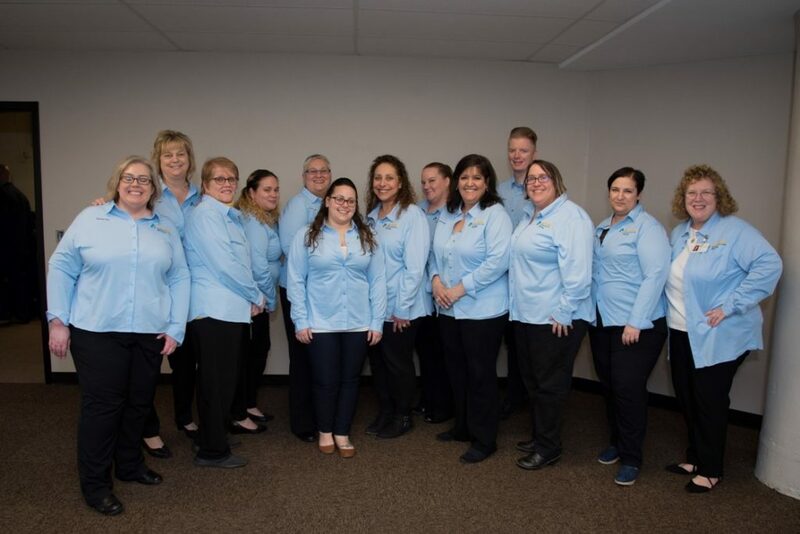 Project Hire is the brainchild of Lori Lentini, SVP of HR and Talent Management at Access: Supports for Living and Linda Romano, a Health Science Education Teacher in the Nurse’s Aide Program at Newburgh Free Academy North. 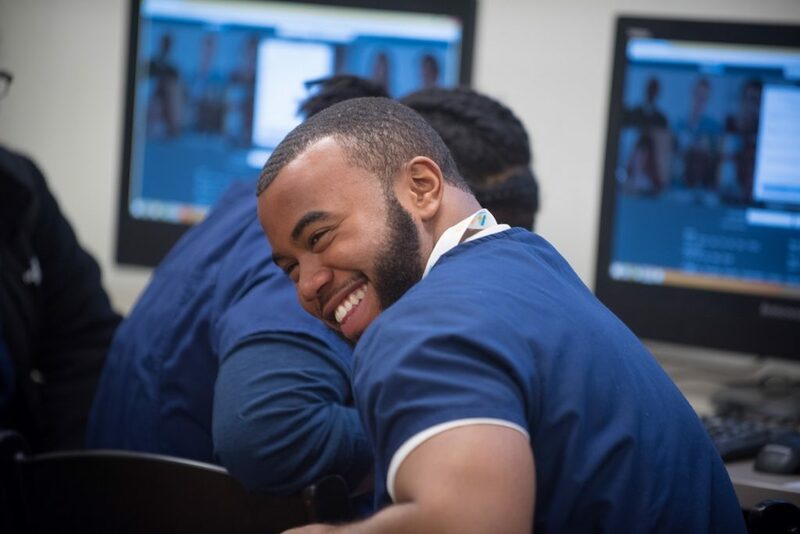 While volunteering together at the Newburgh Armory Unity Center’s Scholars in Scrubs program, they began to discuss some of their professional challenges. 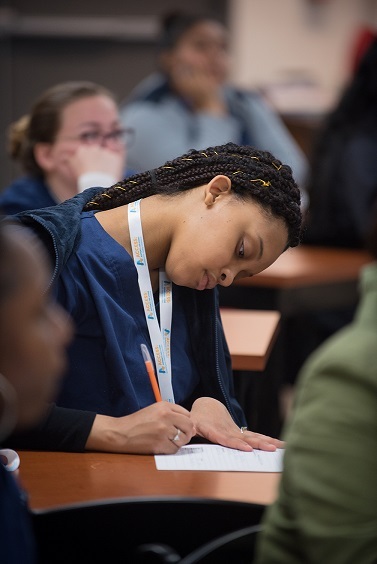 For Linda, it’s students graduating as Certified Nursing Assistants who will soon be looking for work in the health care field, and for Lori it’s the many entry-level openings for Direct Support Professionals. The more they talked, the more they realized a potential solution staring them right in the face. What if they worked together to prepare Linda’s graduating seniors for employment at Access? The idea was innovative, yet at the same time felt like it was something that should have been done all along. Once Lori and Linda brought the idea to William Kaplan, founder of the Newburgh Armory Unity Center, plans to bring the idea to reality hit the fast track. Within a matter of days, the team had scheduled a career conference for the students with workshops on how to build a resume, conduct themselves at interviews, and create a professional LinkedIn profile. Community partners were brought on board, including Mount Saint Mary College, St. Luke’s Cornwall Hospital, and Crystal Run Healthcare. Every one of these organizations wanted to be a part of such a unique project focused on helping young adults launch their health care careers. Robin Rosenberg, a Career Counselor at Mount Saint Mary College, ran the resume workshop. Students were provided with a resume checklist and examples of effective resumes. They also received tips on format, key words, and how to stand out in a crowd. Volunteering for the day were Residential Directors Kelly Hart, Phyllis Betheil, Sean Switzer, and Jo Ann Goswick; and Mariann Cheney, Access’s Director of Development and Public Relations, who prior to her current role was a Director of HR for Access. 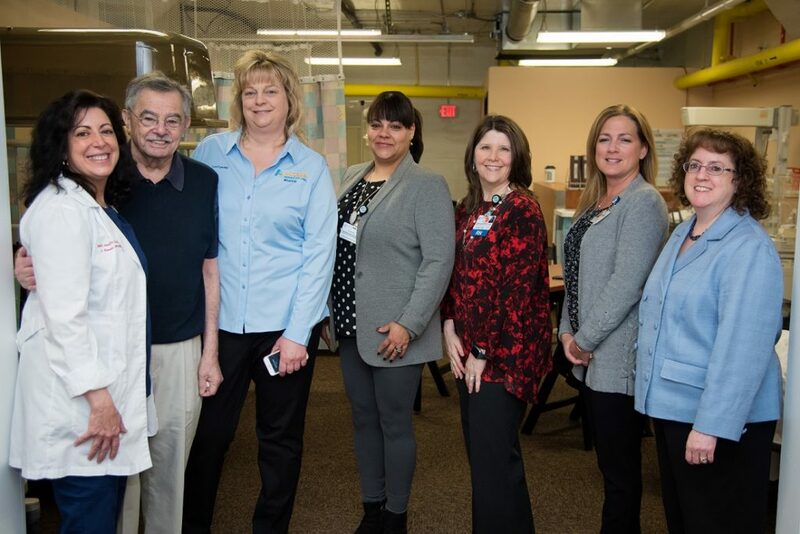 These leaders from Access, along with leaders from St. Luke’s Cornwall Hospital and Crystal Run Healthcare, gave students an opportunity to practice their interview skills in small groups. Each student was interviewed briefly, followed by a group discussion and critique. Rachel Tarr, Senior Associate of Employee Engagement and Development at Access, showed students how to set up effective LinkedIn profiles, including a profile picture appropriate for the platform. Additionally, Rachel provided support to the project through the development of materials used for the day and coordination efforts to ensure success. In addition to the conference space, the Newburgh Armory Unity Center provided breakfast and lunch for everyone involved. The conference was just the first phase of Project Hire. The next phase is a job fair in June for all students interested in employment with Access or St. Luke’s. Candidates may be able to start the hiring process before graduating. For students opting to go to college or pursue another line of work, they still walked away from an amazing day of learning with a competitive resume, real-world interview skills, and a social media presence to help with digital networking. This learning, with the already deep health care expertise gained from Linda’s class, has helped posture these students for success. It’s clear to all involved in Project Hire that no matter which path each student chooses, they’re already on their way toward a rewarding career and future.